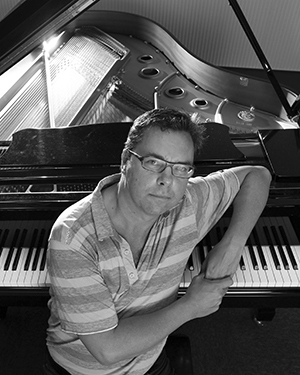 Scott studied piano and violin at the Queensland Conservatorium of Music, and piano at the University of the Arts in Berlin, where he was a staff accompanist for 23 years. He has lived and worked in Europe since 1980 as concert and opera conductor for many institutions and festivals, as pianist (soloist, song accompanist and chamber musician), coach, chorus director and repetiteur, and teacher at the Lotte Lehmann Academy in Berlin. In Australia he has worked for the opera houses in Queensland, South and Western Australia, performed at the Melbourne and Barossa festivals, and taught at the Sydney Conservatorium and the University of Western Australia. He has around 90 operas in his performed repertoire, notably many rarities from the Baroque and twentieth century.